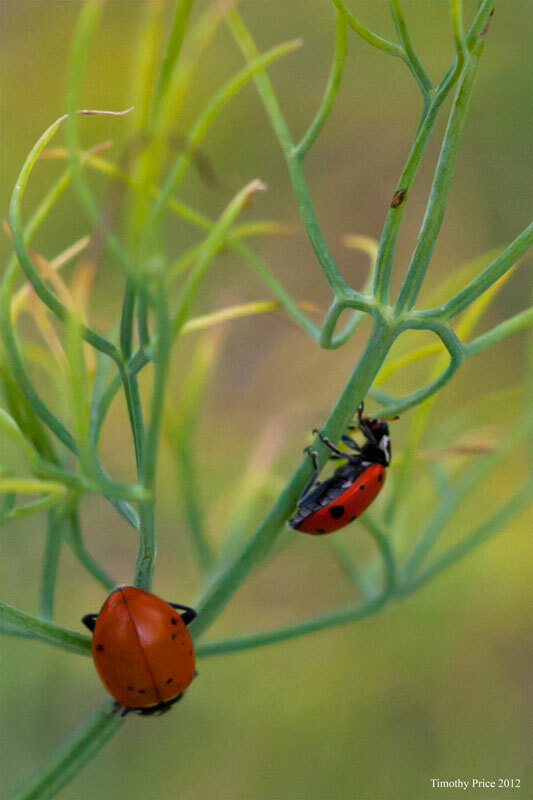 The ladybugs and damselflies were out tonight scampering around in the dill and lighting of grass and the wisteria. 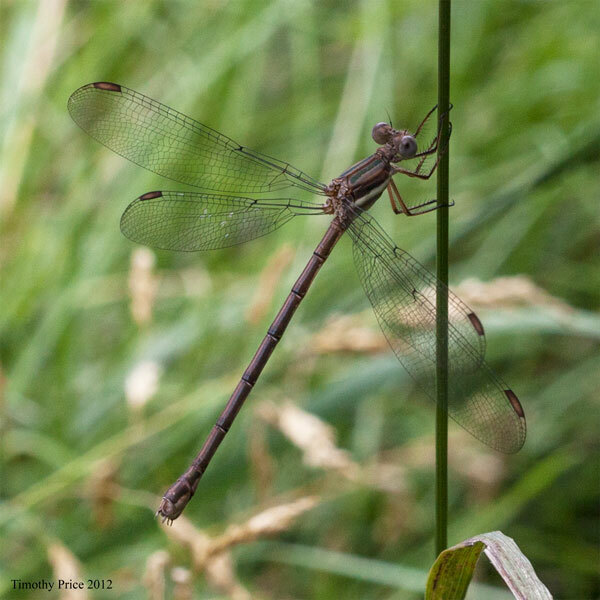 The wings on the damsel fly look so delicate. 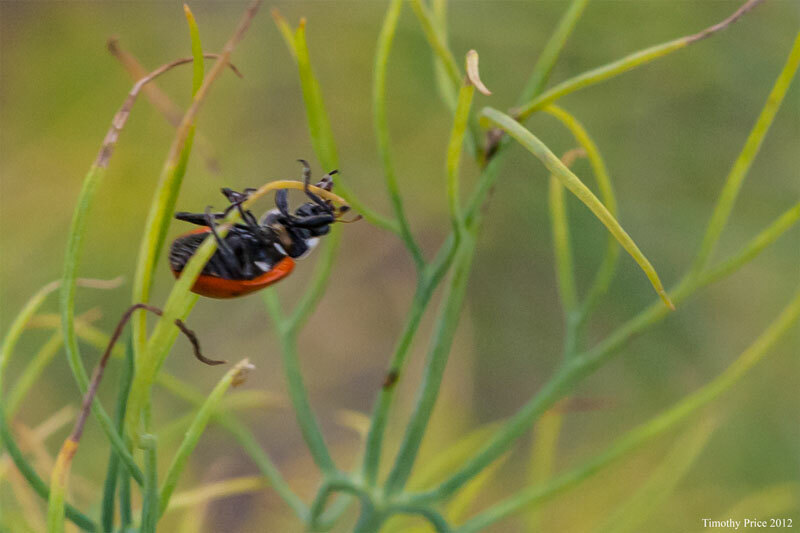 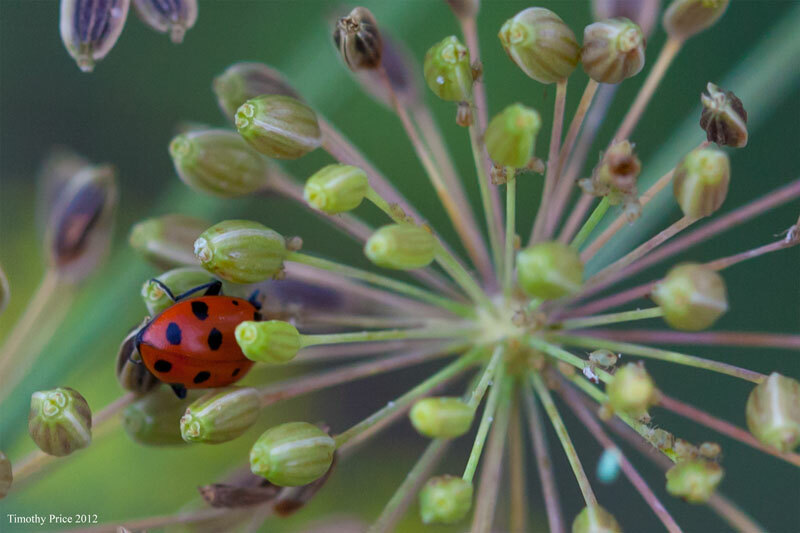 The ladybug on dill photo is very “WOW”. 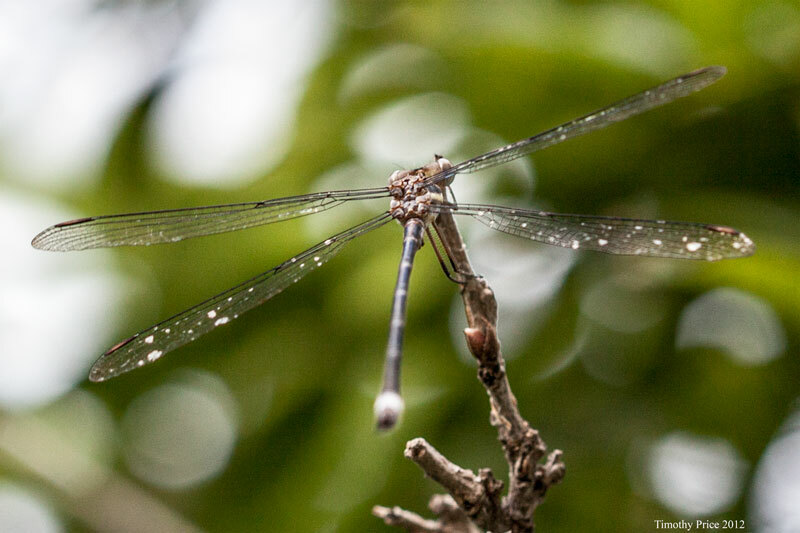 The damsel fly is very interesting as well.